Directed by Ira Sachs, this drama explores the friendship of two young, artistic boys who find their bond tested when their parents clash over class differences in gentrifying Brooklyn. 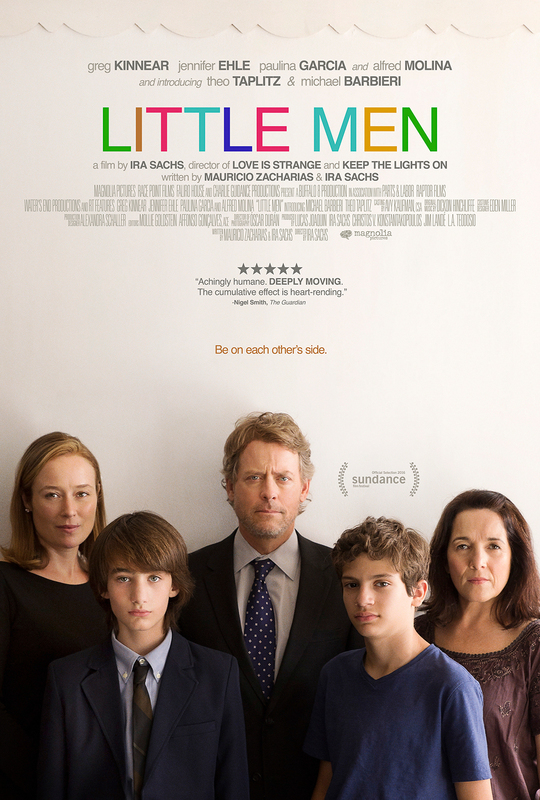 The film stars Greg Kinnear, Theo Taplitz, and Paulina Garcia. Ira Sachs received a nomination for Best Feature Film from the 2016 Berlin International Film Festival.